If the work boot fits, wear it. Danner makes sure they consistently create men's and women's work footwear that offers versatility, and these Danner Men's Stronghold 16711 Brown 6 Inch Work Boots have a low profile that also makes them great for everyday wear. If y ... (see full details) (see specifications) #16711. If the work boot fits, wear it. Danner makes sure they consistently create men's and women's work footwear that offers versatility, and these Danner Men's Stronghold 16711 Brown 6 Inch Work Boots have a low profile that also makes them great for everyday wear. If you're walking on the streets downtown or exploring the rural trails through the woods, the DPDX last on this Stronghold footwear was built to give you just enough room for high-quality comfort while also maintaining a trim profile. Since Ortholite footbeds are included in these waterproof EH boots, your feet will have superior comfort. The Danner Dry 100% waterproof barrier that's also included lets moisture escape but doesn't let any water get inside. The waterproof Danner® Dry lining is responsible for keeping things in order - water out, dry comfort inside. Check, and check. The men's brown boots have full-grain leather uppers, and the durable leather has been put through six different tests to make sure it's up for the challenge of being a part of your Danner Stronghold boots. You'll also be happy to know that these 6-inch brown boots meet or exceed the ASTM F2892-11 EH safety standard. Electrical hazard, or EH, footwear is developed with non-conductive electrical shock-resistant soles and heels to keep you guarded. The Vibram Stronghold outsoles are oil- and slip-resistant to give you dependable traction on both wet and dry surfaces. This waterproof design also features 90-degree heels for more stability. To support your steps even more, nylon shanks are in place for much-needed arch stabilization from below. The polyurethane footbeds add more comfort, while the special Vibram SPE midsole enhances rebound, comfort, and support. These rubberized EVA midsoles maintain the same qualities as your typical, traditional EVA midsoles, but these midsoles from Danner are more durable and resist breakdown. Put on a pair of rugged Danner Men's Stronghold 16711 Brown 6 Inch Work Boots that fit well, look great, and keep you safe at your workplace, at home, and anywhere else in-between. 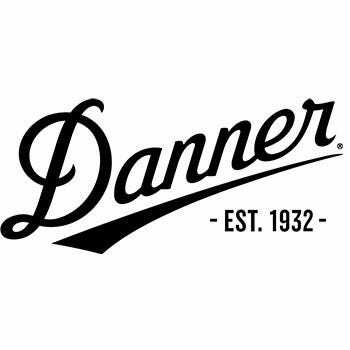 Order your Danner footwear today from Working Person's Store for high-quality comfort and protection. Danner Boots: Men's Stronghold 16711 Brown 6 Inch Work Boots is being added to your cart.